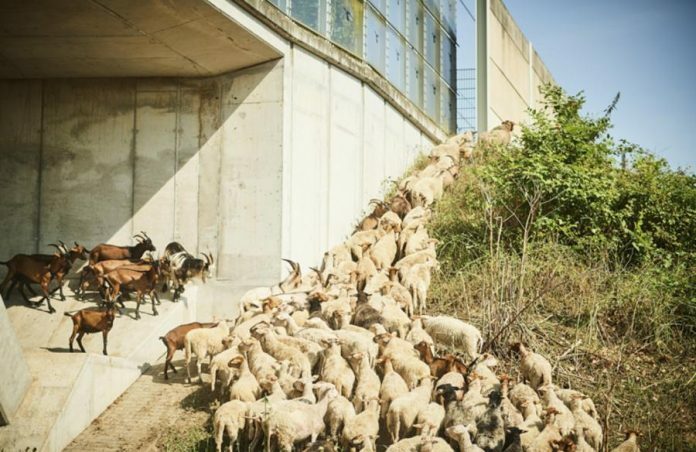 A herd of 85 sheep and 15 goats have been enlisted to help Infrabel, Belgium’s rail infrastructure manager, maintain vegetation in hard to reach areas by the country’s railway. The new recruits’ first task will be in the city of Mechelen and should the pilot prove successful Infrabel could extend the scheme to other locations. During testing the effects of using animals to clear vegetation, especially invasive plants, will be analysed on areas by the side of the railway where it is difficult for machinery to access. To prevent the vegetation specialists from ending up on the tracks, mobiles fences will be installed around the perimeter of the area being cleared. SBB’s crack team of grass cutters only require two hours sleep per night. Photo: SBB.Infrabel has been working with environmental associations to assess the most appropriate areas for animals to graze on as well as to analyse the safety and biodiversity of each potential site. The idea of calling on the four-legged workers is not a new one. Swiss state railways SBB began mobilising a trailer full of sheep to cut up to 1,000 square metres of land within 24 hours in 2015. 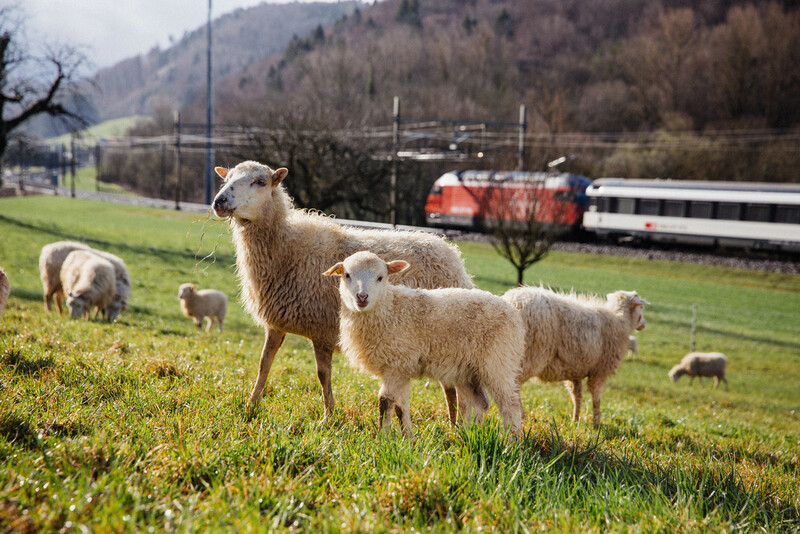 And back in Britain in 2011, rail infrastructure manager Network Rail unveiled a flock of sheep as its new weapon to help drive down the costs of maintaining the railway.